This is a SONY VAIO PCG-C1MV / C1MVP LAPTOP SERVICE MANUAL. 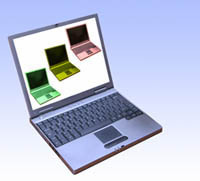 Service manual is very detailed and will help you troubleshoot and repair your Laptop. All pages are printable, so run off what you need & take it with you into the home, office or repaishop. Podnutz - Laptop Repair Video Collection Ready Made Clickbank Review Sites!